Hong Kong Hong Kong and Shanghai Banking Corporation $500 1.7.1930 Pick 177b. A wonderful example of this highest denomination, with the multicolor underprint still bright. Signatures are deeply inked. An appealing rarity for any collection. 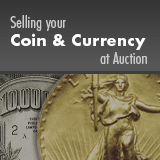 PMG About Uncirculated 55.